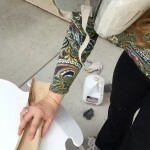 This summer I won a bid to Paint a Butterfly Sculpture! “Flight” is an annual community service initiative created by the Rotary Club of Colorado Springs to promote the arts & sciences in schools. Last year, Flight raised more than $130,000 for D11 school arts programs & the Rotary Club’s Service Fund. Juried artists transform 26 large-scale metal butterfly into original works of art. 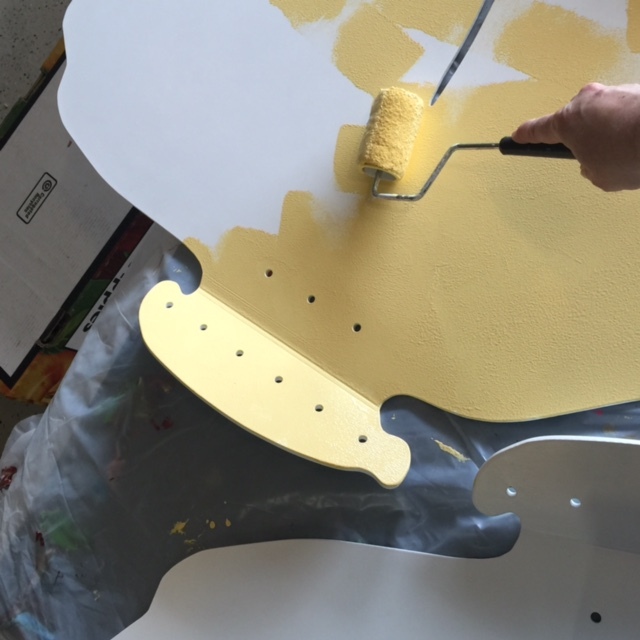 Each butterfly sculpture will be displayed around our Colorado Springs downtown area from June – September. 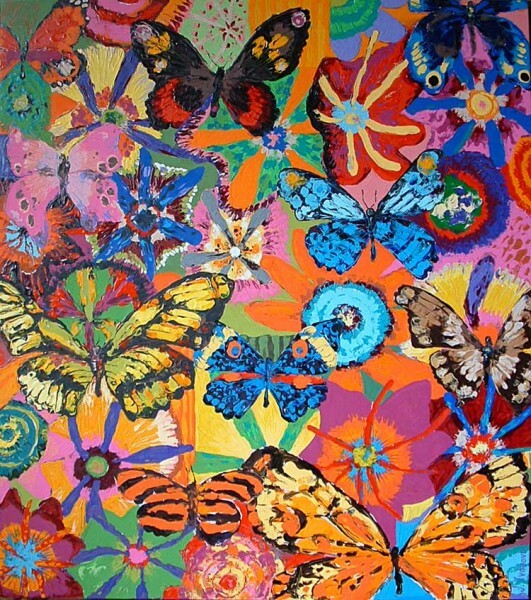 The butterflies will be auctioned at a gala event on October 24 at the Cheyenne Mountain Resort. What a great Project! Ruff up the metal with 120 grit sandpaper. Wear a mask, as this dust in dried paint particles! I wrap the sandpaper around short wood piece. About 15 minutes total – until you are seeing small scratches in the paint. Wash off all the particles and dry well. Next, use a primer specially noted for use on metal surfaces. The bonding power is the key for long life on metal. 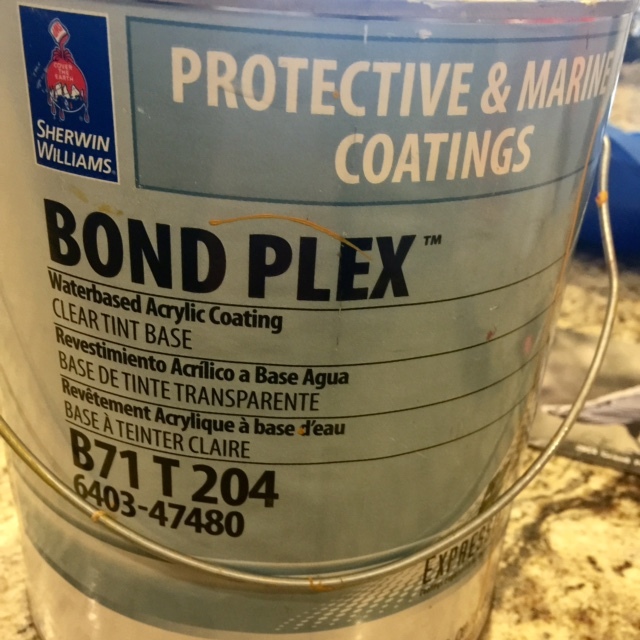 I use Sherwood Williams “Bond Plex” for Protective and Marine coatings. Very, very, very strong and durable. 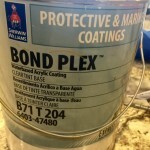 It’s not a cheap paint, but it’s the trick to getting THIRTY YEARS from a painted project! Do all these steps in a well ventilated area. Another trick: I use a disposable small paint roller for good reasons. 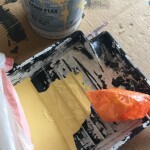 First, I like the small texture it leaves and that surface is easier to paint on. Second, both sides need two coats. Then, it’s possible to put the whole thing in a sealed trash bag for the drying period and therefore, using only one roller for the job. Clean up? None – trash it. Now the real fun can begin! PAINTING! Catch Part two HERE. 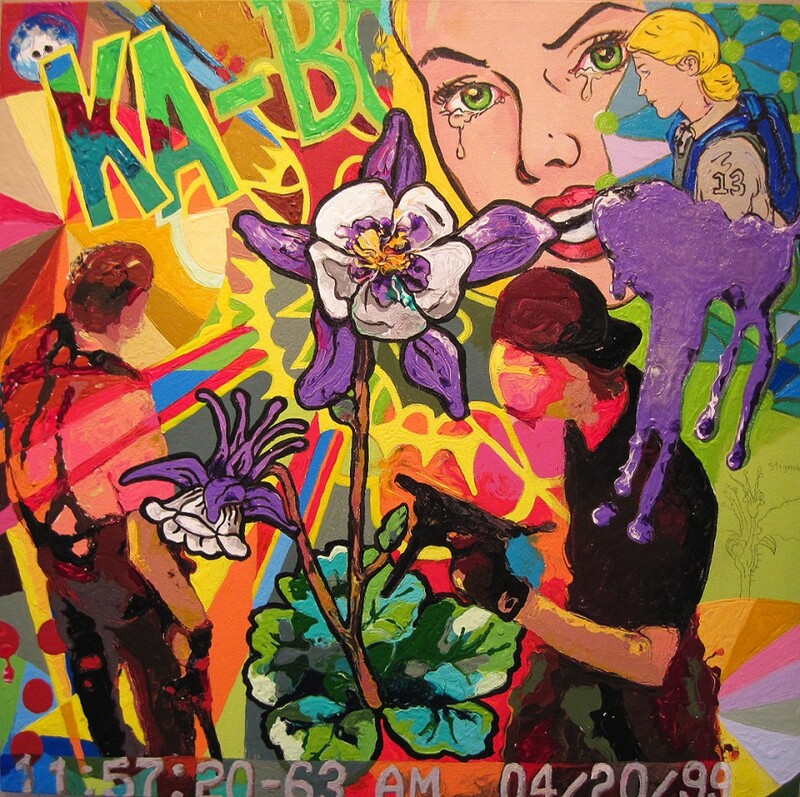 Aspen Hope Center presents the art show, Inspiring Conversations about Mental Health, by Jennifer Ivanovic at the Rag and Bone, Aspen Colorado. So much to experience at the LOVELAND STUDIO TOUR! I’m very thrilled to announce that I’m Arrow’s Five Years Out Art Challenge – $10,000 Grand Winner! 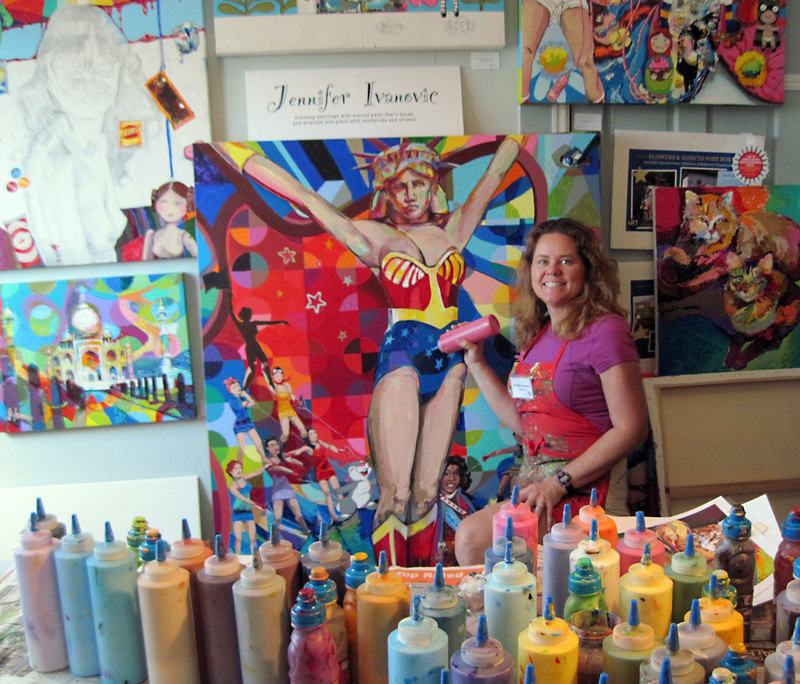 Gina Meadows on So much to experience at the LOVELAND STUDIO TOUR! 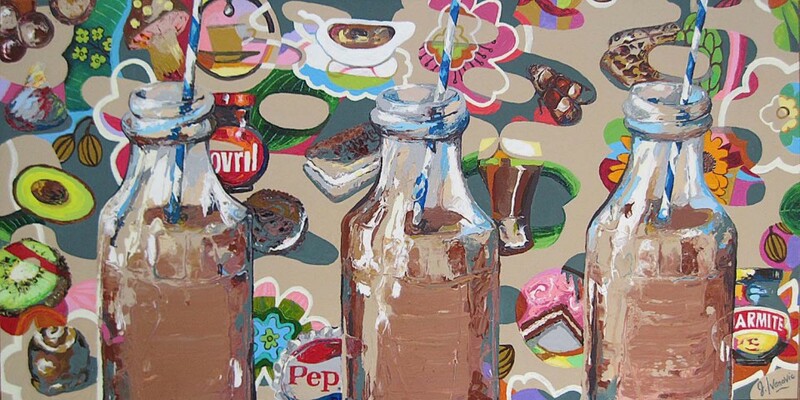 My Homepage on Why value an original Painting? studio admin on Can we learn from Fairy Tales? Kate on Can we learn from Fairy Tales?